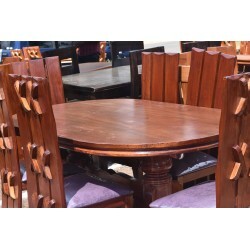 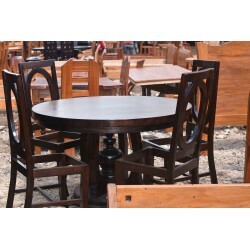 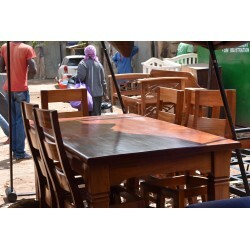 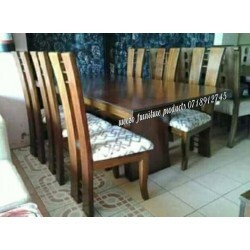 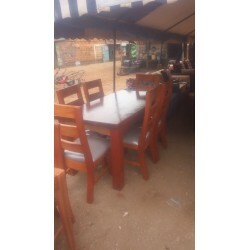 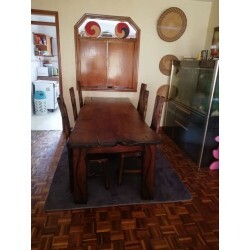 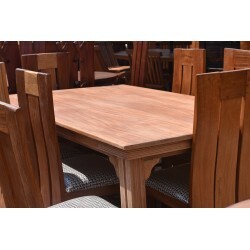 The Dining set is made from solid wood and comes with 6 seats. 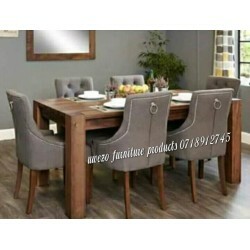 The perfect design for your home: mixing a contemporary design with Classic comfort, this dining table Set will look great in your kitchen or dining room. 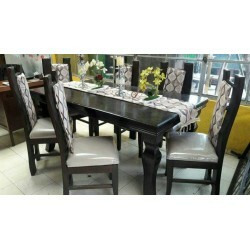 Classic dining table for enjoing a meal with the family. 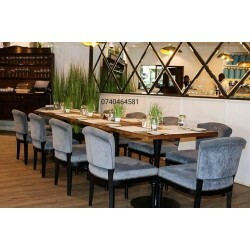 Table is strong and stable and seats fitted with cushions to provide maximum comfort. 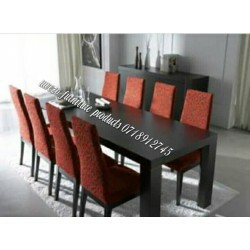 Size of table and seats can be fitted to your specification. 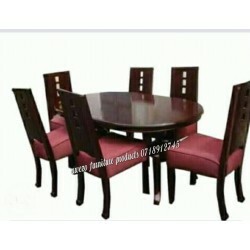 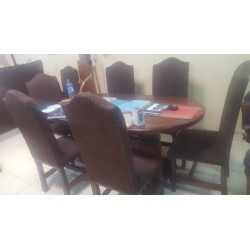 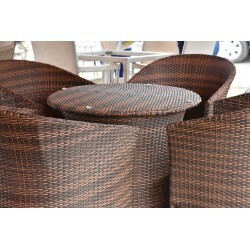 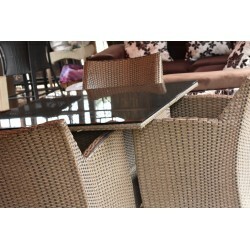 10-seater dinning set.for meetings and households purposes.has a large capacity,its comfortable and durable.